You’re about to leave one job and start another. It’s an exciting time and there’s lots to think about. As well as buying a bumper pack of biscuits to make a good impression on your new colleagues, these are the top five things you should be thinking about and some tips for sorting them simply and easily. You’ve probably made some useful connections in your current job both inside and outside the company, and there’s no reason you should lose them when you move on. Instead of scooping up that big pile of business cards as you leave the office, use an app that automatically digitises them instead. Try CamCard, which captures the contact information on a business card and then stores it on your phone. The task-management app Evernote has a business card feature that’s integrated with LinkedIn, so it will automatically find a profile that matches the business card details. Changing jobs is a great opportunity to revamp your wardrobe and start your new role with a sharp new look. 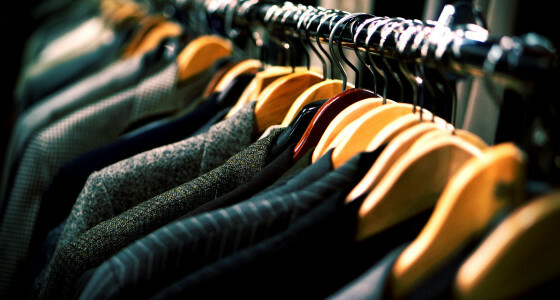 Double check your workplace’s dress code and then get going with a wardrobe clear-out. Next, focus on finding a few key pieces in your favourite colours and a perfect pair of shoes that are both comfortable and smart. Make sure that you can mix and match your new items to create lots of different outfits. If your trousers, shirts, blouses and jackets are neutral colours for easier matching, then pick belts, bags, ties or jewellery in brighter colours to spice things up. Once you’ve got your smart new apparel sorted, you can use a fashion app like ClosetSpace or Closet+, which can catalogue your clothes and recommend stylish combinations. How do the company benefits provided by your new workplace compare to what you got at your last job? If you’re losing a cushy benefit like gym membership or health insurance, now’s the time to make alternative arrangements for fitness or healthcare. On the other hand if your new company has offered you benefits that you didn’t have before – for example free membership to a better gym than the one you currently pay for - then it may be time to get in touch with your current suppliers and ask about any fees for cutting your contracts short. As you leave one company and start at another, you may end up leaving one pension behind and starting a new one. Ending up with several pension pots in different places can be inefficient and difficult to manage. Changing jobs is a good opportunity to get on top of your pension situation and think about combining your pensions into a single pot. Sign up to PensionBee and we’ll locate and transfer them into an easy-to-manage online PensionBee plan. Starting a new job means a new stage in your life, so take some time to consider how it fits into your long-term plan. Think through what you’d like to achieve in this new role, how it’s going to help your career develop, and the things that you’re hoping to learn. When you took this job and handed in your notice at your old workplace, what were you hoping to achieve with the move, and where did you see your new role taking you? It’s worth actually writing these things down so that you can remember your reasons for moving and you can keep your goals in mind when you’re in the thick of your new role. Changing jobs is a great chance to refresh lots of different aspects of your life, so don’t let it pass you by. But most importantly, jump into your new job with both feet and enjoy your new workplace!